May 11-17, 2014 is National Police Week. For those of you who are not familiar with National Police Week, or Police Memorial Day, here is what it is all about. In 1962, President Kennedy proclaimed May 15th as National Peace Officers Memorial Day and the calendar week in which May 15th falls as National Police Week. This is the time when we can honor those who have given the Ultimate Sacrifice. John 15:13 states “Greater love has no one than this: to lay down one’s life for one’s friends” and this is never more true than when a Police Officer has been killed in the line of duty. They have given the ultimate sacrifice and we own them our ultimate gratitude. It was once said to me that a Police Officer being killed in the line of duty was part of the job, part of what they are paid to do. Needless to say, this was one of the most ignorant statements I have ever heard. But, unfortunately, too many people take the killing of a police officer in stride. They rarely look upon the act with the degree of horror it deserves. I think the public may be inured to the idea of a line of duty death. Every day we watch police officers being killed on various television shows to the point that it has become routine. Many fail to realize the far-reaching consequences of such an act. They tend to forget that the fallen officer is someones husband or wife, father or mother, son or daughter. Being killed in the line of duty is not part of the job, and it is not the cost of doing business. The hope is that Police memorial Day will help bring the horror of such events to light. Cincinnati is not unfamiliar with the horror of the killing of a Police Officer. 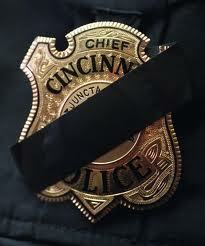 During my career with the Cincinnati Police Department (1971-2014) 15 Police Officers were killed in the line of duty. Three of the fallen were members of my own Police Academy Class (Cincinnati Police 58th Recruit Class). Most were killed by gunfire, several were killed via an automobile, and one was killed in the line of Duty while serving his country in Iraq. Additionally, of those killed, three were related to current or retired Police Officers. Imagine the horror of a father or brother, knowing his son or brother was in the profession, following in their footsteps, only to meet such a horrific end. You can learn of these deaths and all other area deaths by visiting the Greater Cincinnati Police Historical Society’s website, the “In Memoriam” section. Additionally, you can find out about all the Police Memorial Week events that are planned by visiting the Cincinnati Police Department’s Website. Details can be found in the “Latest News” section on the home page. Please take some time next week to reflect on those who have given their life in the line of duty. If possible attend the Police Week functions and march in the Police memorial Day parade. It is the least we can do for them considering what they have done for us. Thank you for reading this blog post. Please consider commenting, sharing, and subscribing. I hope retirement is treating you well. Very sad and a heartfelt reminder.I wanted to share on Facebook but did not see a link. Did I miss something?